What happens when a pattern becomes aware of its own existence? 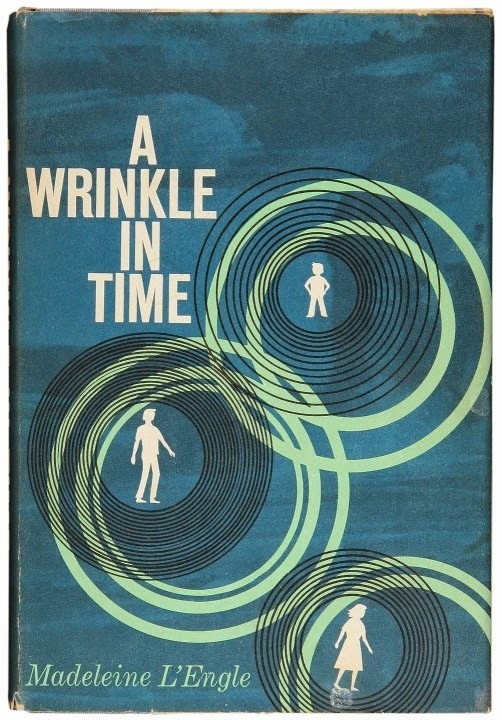 Back in 1963, it was Madeleine L'Engle's A Wrinkle in Time that started me thinking about the dimensions that lie beyond the 3D world we see around us. Now, since 2006, Imagining the Tenth Dimension has been introducing budding thinkers to a way of imagining how our bendy/stretchy space-time could be derived from the timeless “everything” of Max Tegmark's Mathematical Universe concept, or the beautifully symmetrical zero of Gevin Giorbran's Everything Forever: Learning to See Timelessness. Last entry we looked at Christopher Nolan's Interstellar, and the participation in that project of mainstream physicist Kip Thorne, who endorses and explains the scientific underpinnings of the wormholes and time dilation depicted in that film: the "bendy/stretchy space-time" I just referred to. Nolan's film encourages us to think about a "block universe" as Minkowski described it, where different events are merely positions within a timeless 4D structure that becomes easier to imagine when we consider it from the outside vantage point of the fifth dimension. Here's the question we are asking: what is the source, the background pattern, the underlying process, from which our observed universe emerges? Some theorists ascribe meaning to that pattern, while others call it chaos, or "just a bunch of stuff that happened" (a useful phrase from Homer Simpson). But however we think about them, those underlying patterns exist, and modern research in a wide variety of disciplines inches us ever closer to understanding their nature. If all I am, if all you are, is a space-time pattern, a spime if you prefer, then that pattern exists within the realm Einstein liked to talk about, where the distinction between past, present, and future is an illusion. I began this entry asking this: what happens when a pattern recognizes itself? 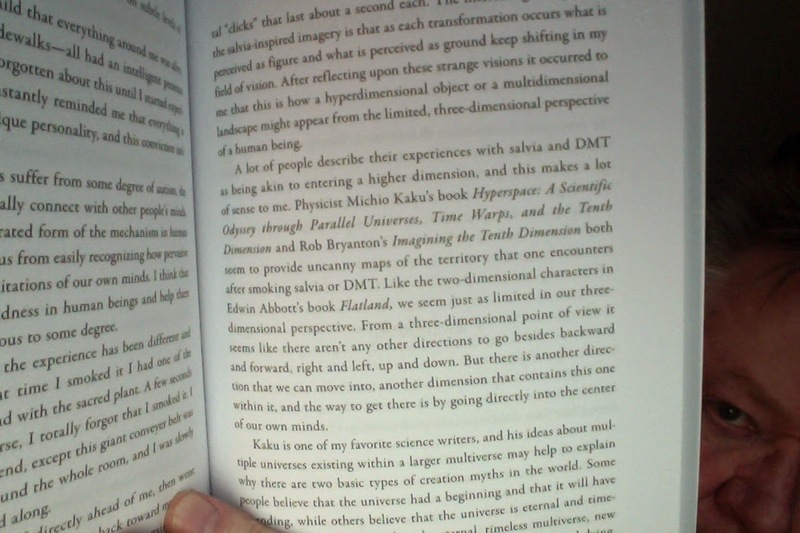 Physicist Michio Kaku's book Hyperspace: A Scientific Odyssey through Parallel Universes, Time Warps, and the Tenth Dimension and Rob Bryanton's Imagining the Tenth Dimension both seem to provide uncanny maps of the territory that one encounters after smoking salvia or DMT. Like the two-dimensional character in Edwin Abbott's book Flatland, we seem just as limited in our three-dimensional perspective. Being mentioned in the same sentence as Kaku is remarkable indeed, particularly since I've stated from the outset of this project that I'm not a physicist and I'm not pretending to be one. Clearly, anyone who calls me a “pseudo-scientist” is ignoring that fact, and that should be the end of the discussion. David knows this, and I'm grateful to him for his vote of confidence. But let's keep this straight: I'm simply a creative thinker who has come up with an intuitive way to organize the information that becomes our observed reality, or any other. My project uses the logic of the point-line-postulate (the accepted methodology for visualizing any number of spatial dimensions) to imagine the ten spatial dimensions which, coincidentally, string theory has told us our reality is derived from. But it also turns out that my approach is very useful for analyzing lots of other kinds of information, and that's why the fan-base of Imagining the Tenth Dimension has been so widely varied: because it gives so many people a way of organizing their thinking that helps them see the patterns that lead to one outcome or another, to one universe or another. From a three-dimensional point of view it seems like there aren't any other directions to go besides backward and forward, right and left, up and down. But there is another direction that we can move into, another dimension that contains this one within it, and the way to get there is by going directly into the center of our own minds. My approach to visualizing the dimensions helps us to see those patterns as existing within the timeless background that lies beyond the observed limits of our constantly evolving 4D space-time bubble. 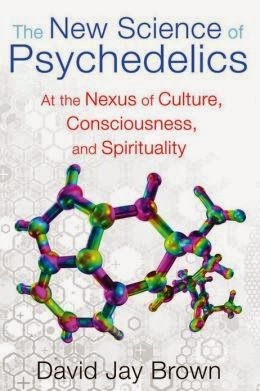 And David Jay Brown, who has written for Wired, Discover, and Scientific American on the subject of modern psychedelics research, and who has published a number of books exploring the interesting outer fringes of science, has given his enthusiastic support to my project. For that I am very grateful. Unfortunately, though, these zen-like concepts of "everything and nothingness" also happen to have been a popular line of questioning for mystics and the enlightened (of whatever definition you care to associate with that term) throughout the ages, a fact that makes those intent upon an atheistic, free-will-is-an-illusion point of view likely to dismiss these discussions outright. Be that as it may, I stand firm in my belief that there are things about this approach that speak directly to the underlying truth of where our reality comes from, so I will continue to fight the good fight for these ideas. Now that we're holding within our minds the idea of there being a version of 4D space-time where everything happens at once, let's go back and look at one of my most popular videos: Imagining the Fourth Dimension. P.S. - Ultimately, finding a way to imagine what the big beautiful zero our reality comes from could be like brings with it a certain peace, as Terry Gilliam reminds us in his current film, The Zero Theorem. We'll talk about that film next. hey rob, i am a 16 yearold guy and i have my reasons for thinking this way about time because of certian experiences i have had but i just wanted to share my veiw with you to see what you think and if what my idea could be plausable if tweaked or is plausable the way my theory is.. i wanted to comment on time.. ik how you said time is moving forward and backwards but we only can see the forward moving of time.. what if time is not moving forward or backwards but instead it is a cylinder containing everything that every happen all at the same time.. so we live in the 1st 2nd 3rd 4th and 5th demension at the same time.. and our minds create a sense of time that allows our bodies to exist. and without this sense of time our bodies will begin to die.. i mean consider alzheimer's disease when so one get this they start having "flash backs" and lossing a sense of time.. so what if these poeple really are just lossing a sense of time and their body begins to start dying from it so they never reach the point of complete freedom " the 6th demension" while still in the body. but maybe after they die their soul transforms in to an all dimensional being able to experience all dimensions. this will allow the "soul" to see all time from begining to end all at the same time while looking in to the "cylinder of time" and being able to travle in side the cylinder and out side of the "cylinder of time". and think about Deja vu what if that is a part of our mind messing up and seeing the future and taking it in as something that has already happened and then when it happens you begin to think i swear i have done this before. and since i our mind only operates and 10% at one time. there are others who brains operate at a higher capacity and these are the very very smart people.. so what if there was a person who could use all of his or her brain capacity would he or she be able to travle in time and space and dimension or would the person just be able to see everything happening and maybe even control what they see.. so now thinking of this what if time is the basis for all the other 9 dimensions.. meaning that everything that happens revloves in side the "cylinder of time" and and what if (based on what you said about how the D10 relies on time but it is not affected by time) what if D10 is the space(dimension) bettween other "cylinders of time" (world or universes) that our bodies would not be able to sustain our life in or some we might be able to... it might sound a little confusing but i have my personal reasons for this idea. Hi Christian, thanks for thinking deeply about these ideas! Here are things I have said with my project that align with what you’re describing. “time” is a way of describing change from state to state within any dimension. Our unique perspective makes us perceive this change as being in the fourth dimension, and as you know I’ve always said our “next planck frame” to create that 4D line is always being selected at the fifth dimension. But an observer made out of 6D structures would perceive time as being in the seventh dimension, and so on. Your proposal that “time” is really a separate quality that is outside of the ten spatial dimensions is how I’ve proposed that we could think about the eleven dimensions of M-Theory - ten spatial dimensions, plus a quality called time which we overlay on those ten to move from state to state within any particular dimension. The process of life that represents you or I is formed at the fifth dimension from a background of possible states, and each dimension beyond the fifth adds back in the other states that are not logically connected to our observed reality until you get to an unchanging everything, Tegmark’s “Ultimate Ensemble”, in the tenth dimension. Discussions of travelling through the extra dimensions, or how deja vu, prescience, intuition, spirit voices, genetic memory, out of body experiences, and so on, are all connected to consciousness being something that can exist across the dimensions independently of our physical bodies. These are ideas I’ve explored in my video blog and book, and which David Jay Brown’s research is also exploring. The only caveat I like to put on that is that personally I have never taken any psychedelics, which is why I suggest that it’s not necessary to try psychedelics to understand these ideas which speak to basic truths about the nature of reality and our role as conscious observers within that reality.